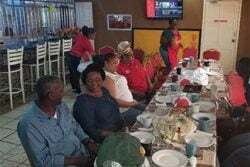 Some measure of research undertaken, has told us little about avocado cultivation, consumption and marketing in Guyana, though it is widely known that it has long been globally popular both as a stand-alone fruit as well as a valued component of preferred dinner table salads. 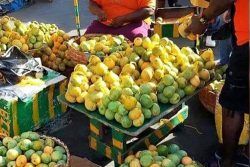 The fruit has also enhanced its popularity among local consumers in more recent years on account of revelations regarding its cosmetic and health benefits. To get a sense of just how well increased avocado production is likely to impact on the country’s sector and perhaps even on export earnings, it is necessary to examine its impact as a money-earner in the global agricultural sector. Last year the global avocado market was valued at US$13.64 billion. Predictions are that its value could grow to as much as US$21.56 billion by 2026. The market is projected to grow by an impressive 5.9 per cent annually between this year and 2026. Latin America is widely believed to be ahead in a highly competitive global market though the demand for the fruit means that new players are joining the race. Given the fact that it is a perishable, the scope for growth and expansion in cultivation is considered very high with factors that include the desirability of consuming natural food products driving global demand even more intensely. Its food value apart, there is manifest evidence that avocado is getting increased attention from the pharmaceutical and cosmetics industries as a key ingredient in their products. In both sectors (pharmaceuticals and cosmetics) a frenetic research race is on to develop products based on avocado extracts and ingredients. Contextually, avocado has opened up areas of innovation that have created new avenues for the enterprise as a whole. While ripe avocados can be consumed directly, the agro-processing sector has long developed ways of illustrating the versatility of the fruit. Avocado-based products including jams, jellies, juices, dips, candies and chutney have been introduced across a range of cuisines and are widely available on supermarket shelves in most countries. What is becoming an increasingly creative global food market is exploring new avocado-based products which are opening up new avenues for business. Over the past 12 years, millions have been invested in the promotion of avocado and there are no indications that the global budget is likely to be cut any time soon given the fact that China is looming large as the next global mega-market. How does the sector look back on 2018 and, more importantly, what will 2019 bring? Mexico reportedly has a year-round supply of high-quality avocado which provides it with a significant advantage given its proximity to the lucrative United States market. Its vulnerability, reportedly, reposes in an unstable industrial relations situation among agricultural workers. Peru, Chile and Colombia are also seen as important players in the market and while Mexico is reportedly facing increasing aggressive competition, its market is reportedly holding up on account of the superior quality of its product. Recent sector reports suggest that during 2019, Peru will be seeking to invest more heavily on promoting its product in the huge Chinese market. From a Caribbean perspective the Dominican Republic (DR) remains well ahead of the pack with its approximately 1,500 avocado producers offering the market around 20 different varieties of the fruit. The current focus of the DR’s avocado industry is on marketing its varieties on the global market. Current sector reports also point to considerable recent investment in the avocado industry in Colombia. The country’s avocado exports have earned a place on the US, Netherlands and German markets while further global access would appear to be on the horizon on the relatively recently opened up market in Saudi Arabia. Never to be underestimated in terms of its agricultural capacity Brazil continues to make a case for itself on the global avocado market and while much of what it produces is reportedly consumed locally, the country reportedly enjoys a 7% (approximately) share of the global avocado market. Chile too, with an estimated 245,000-ton harvest projection for the 2018/2019 season is also in the hemispheric competition for a share of the global avocado market. 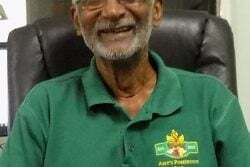 Legitimate excuses for Guyana’s underperformance as a global competitor on the international market for agricultural produce (beyond the highly commendable achievements of its rice industry over the years) have long been attributed to weaknesses in its marketing strategy including its limited ability to identify and exploit niche markets. Avocado is one of an impressive range of fruit cultivated in Guyana which, arguably, can find a place in the expanding global market but which is being stymied not just by marketing limitations but by a pattern of cultivation and logistical challenges that undermine its potential in that regard. Avocado is cultivated here in significant quantities (here again there appears to be an absence of reliable production statistics) in various parts of the country including, particularly, rural and hinterland areas. Seasonal in character, the fruit is commonly available in abundance locally and is widely consumed both as a stand-alone fruit as well as a part of salads and other food preparations. As is the case with much of the agricultural produce grown in Guyana, access by locally grown avocado to the external market is impacted negatively by logistical considerations including storage, packaging and shipping limitations. Exports of avocado from Guyana are limited mostly to modest target markets in the Caribbean and the United States. 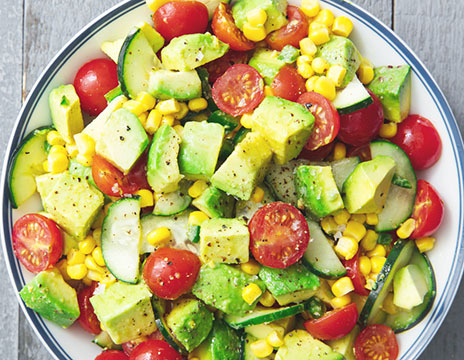 Perhaps surprisingly, while avocado is widely popular as a component of local salads in the food sector. The prospects for a significant breakthrough for Guyana on the global market for avocado are not immediately apparent, given particularly, the absence of a logistical structure that lends itself to an immediate term tie-in with the pre-existing highly organised export and marketing arrangements. Such an achievement will have to be preceded by major improvements in structured production, transportation, packaging and shipping arrangements. Beyond that, entry into the mature global market will have implications for quality control and reliability of supplies, considerations that will have major implications for enhanced farming protocols. Opportunities for the improved performance of Guyana’s agricultural sector, particularly in the context of seeking out and meaningfully accessing significant income-earning external markets may well repose in the opportunities afforded by occurrences similar to this week’s engagement between Guyana’s Agriculture Minister Noel Holder and Sarah-Ann Lynch, the USA’s newly appointed Ambassador to Guyana. The meeting, according to an official release, was used “as an introduction to the sector and to look at areas where collaboration might be feasible.” Could avocado production and marketing be one of those?